ST. PETERSBURG — In the past, discipline has been a primary issue at Lakewood Elementary, in some cases with discipline referrals being twice that of the other Transformation Zone schools. 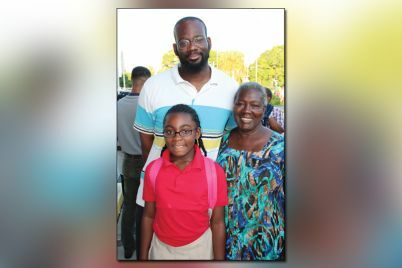 “Discipline will be the focus,” this year according to Johnnie Crawford III, new principal at Lakewood Elementary. Students who are excelling and giving 100 percent, academically and behaviorally, will be openly acknowledged by the principal. Crawford has even committed to special weekend events to ensure he acknowledges each and every student personally. Technology will be used to celebrate student achievement by running videos and displaying photos during lunch that acknowledge student achievements, such as Student of the Month. A new curriculum and training are also being implemented this school year. Eureka Math from Great Minds, which strives to connect math to the real world through logical progression and in ways that take the fear out of math and build student confidence, will be implemented for the first time this year. Also, the American Reading Program, which is an intervention program designed to support students who are not making progress in the general education classroom, will be a great learning tool. “Effective lesson plans that [are] relevant, rigorous and differentiated will decrease disciplinary issues,” said Crawford. Lakewood Elementary has welcomed 16 new teachers to the campus, resulting in a change of more than half of last year’s teaching staff. 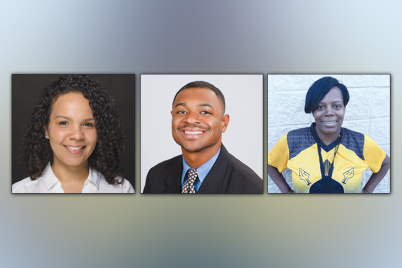 Six are brand new to the profession, while the remaining 10 are veteran teachers. 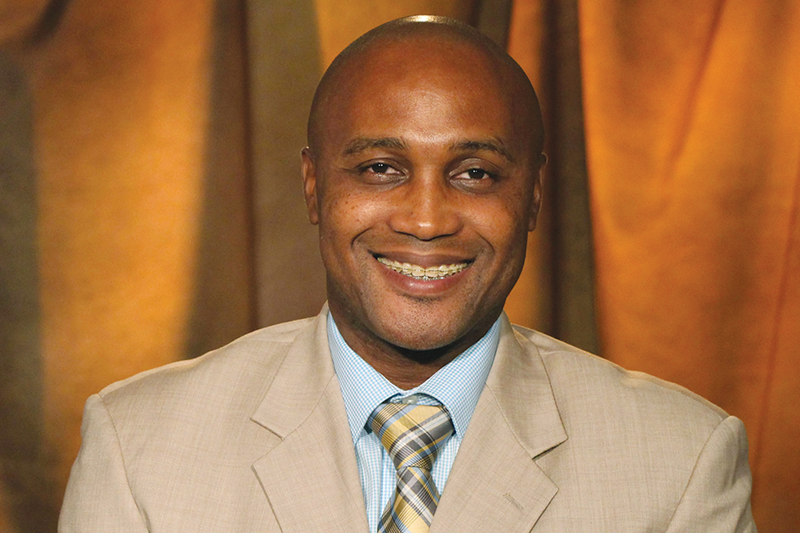 Crawford acknowledges that one of his biggest challenges in his past has been getting teachers who are new to the school acclimated to new processes, procedures and expectations that may be very different from what they are accustomed to. To combat this challenge, Crawford has implemented morning meetings with training designed to build a sense of community in the classroom, while simultaneously helping students transition from home to the school environment and set the stage for learning. He believes educators save lives every day and he will continue his quest to save lives by working with all stakeholders: members of the community, parents, teachers/ staff and especially the students. Lakewood Elementary is in need of volunteers and mentors, as well as individuals from the community willing to speak at their Great American Teach In Wednesday, Nov. 16, or 5000 Role Models meetings, a dropout prevention intervention program for minority boys at-risk of dropping out of school and/or choosing a life of crime. 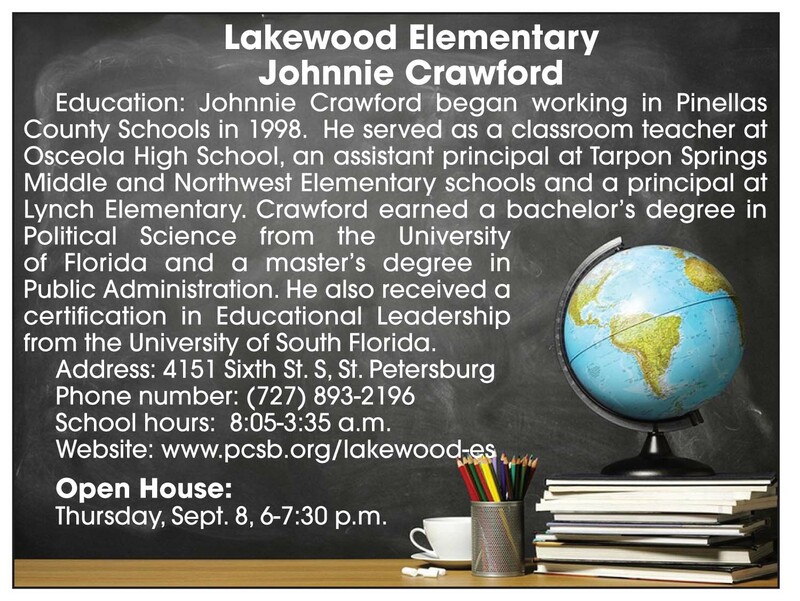 For more information contact Lakewood Elementary at 727-893-2196.